The Kia hamsters are back, and they’ve added a new member to the family. 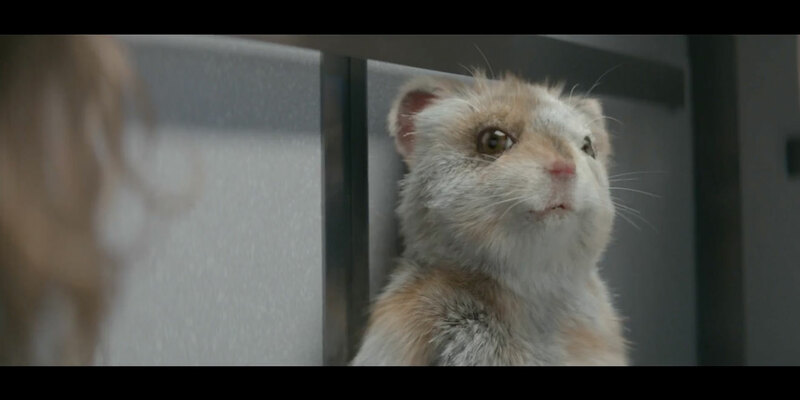 To introduce the brand’s new Soul Turbo vehicle, David&Goliath created a spot featuring a cute new baby hamster named Turbo. Like Kia’s new 201-horsepower vehicle, the pint-sized rodent is not exactly easy to catch up with. A nurse returns to the maternity ward to find Turbo missing. She soon discovers him running around the hospital, causing all kinds of mischief and evading hospital staff, perfectly soundtracked by Motorhead’s “Ace of Spades,” until it appears the little hamster’s crazed exuberance may lead to a premature demise. But of course, there’s a happy ending, as the rest of the Kia hamster family arrive in a Soul Turbo just in time to whisk Turbo away. Good luck getting that hyper hamster to sit still for the car ride, though. The 90-second spot makes its debut online today and in theaters Friday, appearing on 25,000 screens nationwide in National CineMedia and Screenvision movie networks. The campaign will run throughout the summer, supported by social media, and also includes 90-, 60-, 30- and 15-second extensions that will run both in theaters and online. As for the song choice, Angelo says it functions as both a tribute to Motorhead’s late Lemmy Kilmister, who died in December 2015, and the perfect song to fit the high-speed action of the ad.